Peponi II is the benchmark for every Grand Banks of its kind. With only 230 hours on their 2 Cummins engines and over complete facilities you will find that it was hardly used. The Grand Banks 47 heritage EU has been always professionally serviced and received your service each year through a yard, this includes the Antifoulint, polishing of the hull, anodes, etc. Her interior is spotless. It comes with 2 cabins and is fully equipped. If you are looking for a new 47, you need to check on these. 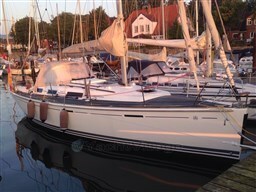 The Hanse 301 is well maintained yard. The yacht is bordeux red lacquered with white mirror. Sale is Pütt and p! Exclusive offer at Michael Schmidt & partner. Central agent! Detailed questions are welcome. Please contact us, we have visited this yacht for you. Exclusive offer at Michael Schmidt & partner. Central agent! Detailed questions are welcome. Please contact us, we have visited this yacht for you. Perfectly equipped and superbly maintained. Ready for the big trip! The ocean 65 aluminium is the perfect match between outstanding technique and distinctive design in a super yacht standard and an individualisation of the highest standard. Painting 2-coloured, painted in anthracite grey hull, white deck & cockpit grayscale & fouling As a whole are far over EUR 500,000 extras in the yacht built up. Exclusive offer at Michael Schmidt & partner. Central agent! 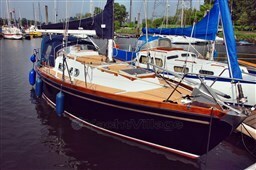 For more details, like to talk, we have seen this yacht and went! Detailed specification on request! 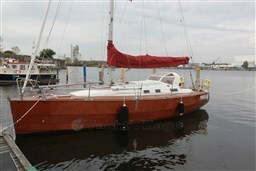 Composite equity building with good sailing properties, lightweight, very stable and fast! Race ready with exceptionally appealing design! Hanse 411: Performance & passion! Equipped with a new engine from 2016 fast owner yacht for the long ride! All sails from the cockpit can be operated. Detailed questions are welcome. Lovingly worked, technically and upgraded visually in many respects, immediately clear for the next trip! Exclusive offer at Michael Schmidt & partner. Central agent! Detailed questions are welcome. Please contact us, we have visited this yacht for you. 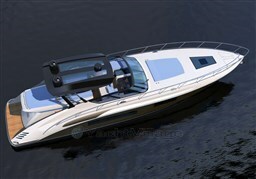 The Bavaria 49 provides an excellent space for 10 persons with 5 cabins. The Dufour 365 Grand large has a good layout, easily accessible winches and excellent control properties that make every trip a real pleasure. The bow section is suitable for sunbathing during an sailing turns. With good ventilation through the roof window, a pleasant indoor climate on board the yacht is backed up even on hot days. The starboard cockpit locker is accessible through the shower room. Exclusive offer at Michael Schmidt & partner. Central agent! Detailed questions are welcome. Please contact us, we have visited this yacht for you. The Interior of a Najad 330 captivates at first sight. Numerous practical details in an außerrordentlich clean processing are of course the Najad. Easily accessible storage spaces for optimal order and overview, a pantry with plenty of space to store cooking utensils and food. Work and work surfaces, which allow even demanding cooking on board. Hygiene rooms with great movement, but at the same time Central and yet separately, and not least, a shower as natural comfort. A Najad sophisticated space concept is reflected in every corner and niche. The shipyard attaches particular importance also to the sleeping comfort. A cosy, bright atmosphere, dry and well ventilated, ensures well-being. 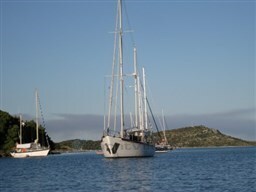 All in all: the Najad boasts a welcoming atmosphere and meets all the requirements. You will feel. Selling with Pütt & p! Exclusive offer at Michael Schmidt & partner. Central agent! Detailed questions are welcome. Please contact us, we have visited this yacht for you. Immediately reisefertige Bützfleth 48 in excellent condition. 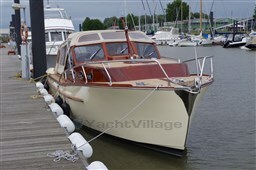 Teak deck in very good condition, bow and stern thrusters with remote control. The probably best maintained Bützfleth 48! Exclusive offer at Michael Schmidt & partner. Central agent! Detailed questions are welcome. Please contact us, we have visited this yacht for you. 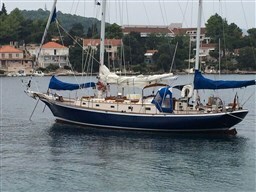 The current owners purchased the ETAP 37 in the summer 2017 and have lived on the ship for 1 year and sailed. 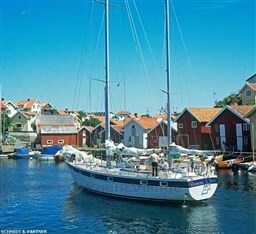 As a result, the yacht is fully equipped and immediately ready for the next long trip, even in the Nordic climate! Rigg replaced in 2012! 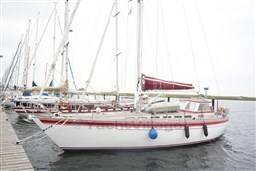 Fully equipped Hanse 575th Williams Jettender with lift system, custom skipper cabin with washer/dryer, oversized anchor gear, high-quality equipped. Used exclusively by the owner couple.